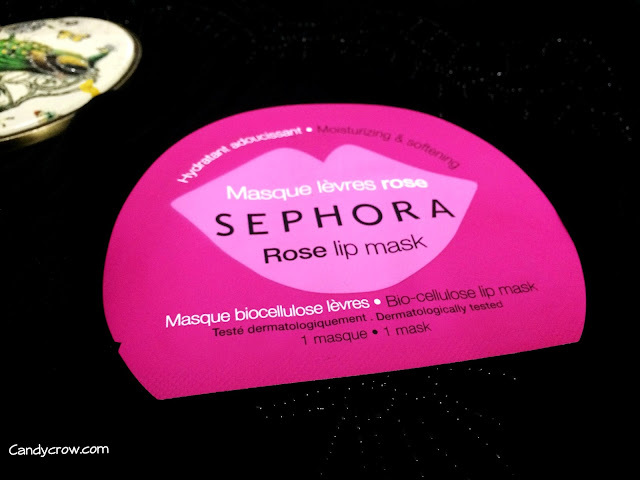 Last week, during my weekend shopping I saw Sephora rose lip mask, and I thought why not give it a try. 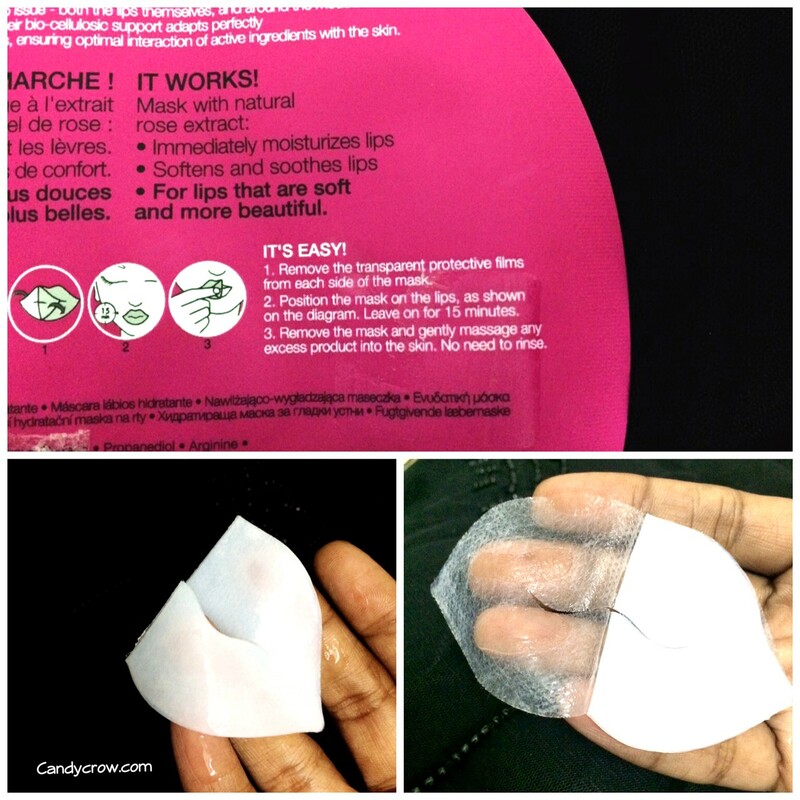 Sephora lip mask claims to replenish, nourish and moisturize lips in 15 minutes. 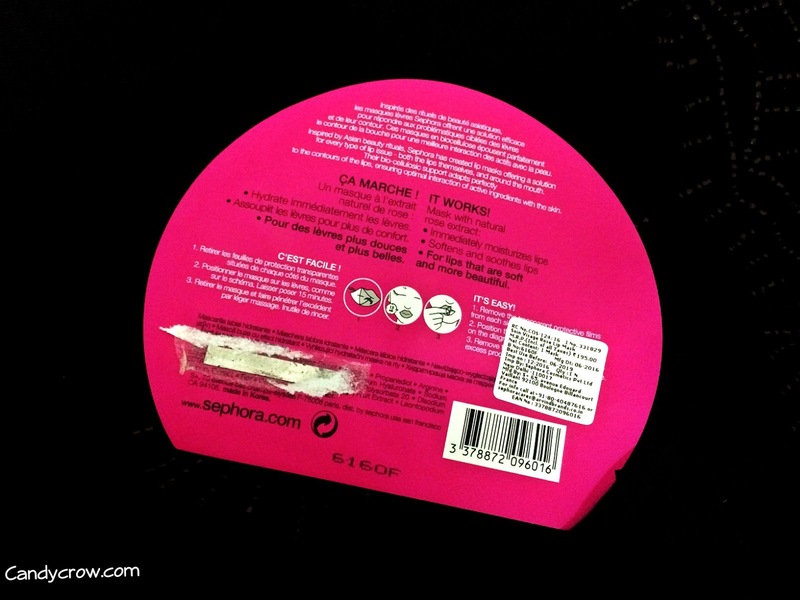 It is made with natural rose extracts and has a mild pleasing fragrance. It is a sheet type mask, and you have to remove the protective film and place it on exfoliated lips for 15 minutes. The mask was quite big in size, and it covered the area around the lips. It did not slide off or feel slimy on the lips. I removed the mask after 15 minutes and massaged the remaining serum to the lips. My lips felt soft and moisturized but only for a couple of hours. The effects wore off within 2 hours, and I have to run for my lip balm to keep my lip nourished and moisturized. I am not impressed with Sephora lip mask. A lip balm can provide more moisture and protection than this mask. It is better to invest your money in a good lip balm than this lip mask. 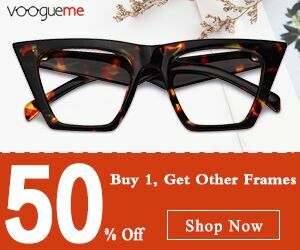 I will not buy it again.